The third child of Queen Isabel and King Ferdinand of Spain, Juana is born amid her parents’ ruthless struggle to unify their kingdom, bearing witness to the fall of Granada and Columbus’s discoveries. At the age of sixteen, she is sent to wed Philip, the archduke of Flanders, as part of her parents’ strategy to strengthen Spain, just as her youngest sister, Catherine of Aragon, is sent to England to become the first wife of Henry VIII. Juana finds unexpected love and passion with her handsome young husband, the sole heir to the Habsburg Empire. At first she is content with her children and her life in Flanders. But when tragedy strikes and she inherits the Spanish throne, Juana finds herself plunged into a battle for power against her husband that grows to involve the major monarchs of Europe. Besieged by foes on all sides, her intelligence and pride used as weapons against her, Juana vows to secure her crown and save Spain from ruin, even if it could cost her everything. With brilliant, lyrical prose, novelist and historian C. W. Gortner conjures Juana through her own words, taking the reader from the somber majesty of Spain to the glittering and lethal courts of Flanders, France, and Tudor England. The Last Queen brings to life all the grandeur and drama of an incomparable era, and the singular humanity of this courageous, passionate princess whose fight to claim her birthright captivated the world. Oridinarily I would give you a brief summary of the book in question. I feel that the above synopsis pretty much sums up what this book is truly about, and that is why I am just going to push ahead and give my review of this wonderful novel. This was one of those books that drew me in from the very first page. It's so full of emotion that I was easily feeling what the characters on the pages were experiencing. At times, I got angry and would shout, which is not something I will normally do when reading a novel. I usually leave that kind of behaviour for when watching movies, but this book was so extremely descriptive and alive that I felt like I was watching a movie. 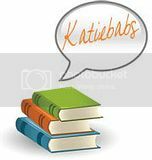 Each scene was unfurled effortlessly, and it was easy to just keep on reading until there were no more pages to turn. I honestly never knew anything about the last queen of Spain, Queen Juana. It was a complete surprise to me to learn her side of a story long forgotten. Although this novel is written as fiction, there are some truths to be had amongst it's pages, and luckily Gortner explains a lot of how he came to write this novel, at the end of the book. I feel like I know Queen Juana now, and feel like she was treated unfairly in her life. I honestly wanted to reach into the pages at times to shake her opponents until they stopped their cruel ways. I was hoping throughout the entire novel that Queen Juana would get her revenge on those who did her and her country harm. I'm extremely greatful to have been given the chance to read and review this novel. I would honestly recommend this book to anyone who loves history, historical fiction, romance, and ever growing drama. I couldn't get enough of Gortner's voice on the history of Queen Juana, the last queen of Spain. 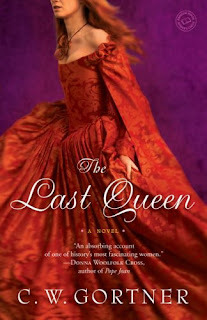 I received my copy of The Last Queen by C.W. Gortner, from the author after requesting a copy to review. Clicking on the cover, and title links of this book you will redirect you to Amazon.com. If you choose to purchase The Last Queen after clicking on these links I will receive a small percentage of the profits. Welcome back! It's great to be reading your posts again. I haven't heard of this book before but it definitely sounds interesting. Thanks for the warm welcome :) I've missed it here, and am extremely happy to be back.